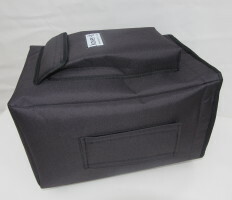 Last week Kover-it manufactured this bespoke cover for the ‘Alto IPA Music system for I pad’. 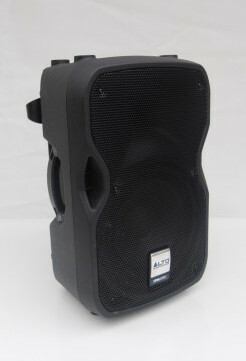 The client hires out the speaker to other people for events and is used outside as well as indoors. 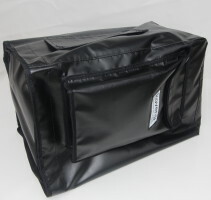 Because the speaker is portable and is always being moved around it is important it is protected from liquids which could damage the speaker system. The speaker system also comes with various cables and a microphone, and is stored in a flimsy cardboard box, the problem with this though is that cardboard isn’t durable, waterproof or strong and when removing the speaker there is now a very large box to store somewhere out of the way. 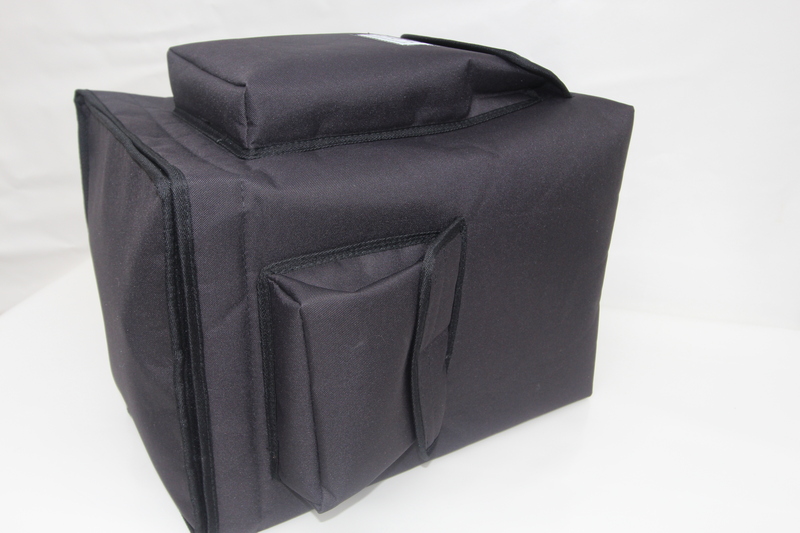 The client wanted a nice looking, professional protective cover for the speaker which allowed the system to be stored in along with the cables and microphone. 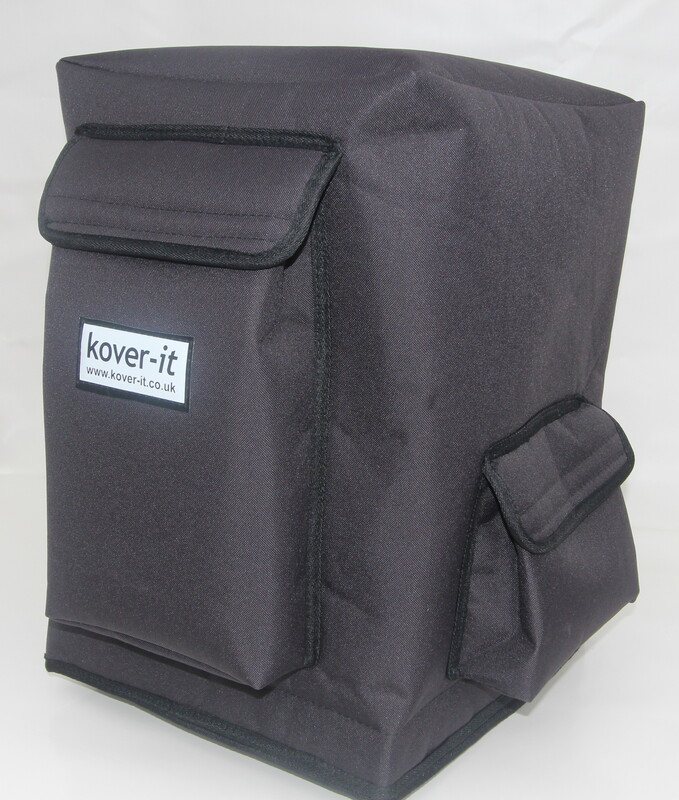 This bespoke cover manufactured by Kover-it is waterproof, dust-proof, strong, and durable and has a pocket to store cables and the microphone, it also has a flap which allows you to carry the speaker. 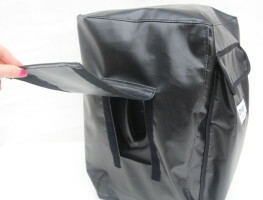 Made to the exact measurements the flap is positioned just over the large handle, it has strong Velcro to ensure maximum protection from water and if being carried around in the rain the hole will still be partly covered by the users hand and the flap. The speaker cover is easy to put on and off, you slip it on and once the speaker is fully inside making sure the handle is in the right place the bottom of the cover is attached by strong Velcro around the inside of the bottom. The base of the cover has a lip to it which is secured in place on the inside of the sides, this is important as it means absolutely no water can get into the cover, as any water running down the sides cannot get in at the bottom. The Velcro is so strong that it is impossible for the cover to fall or slip off; it fits snugly around the speaker and can easily be removed. 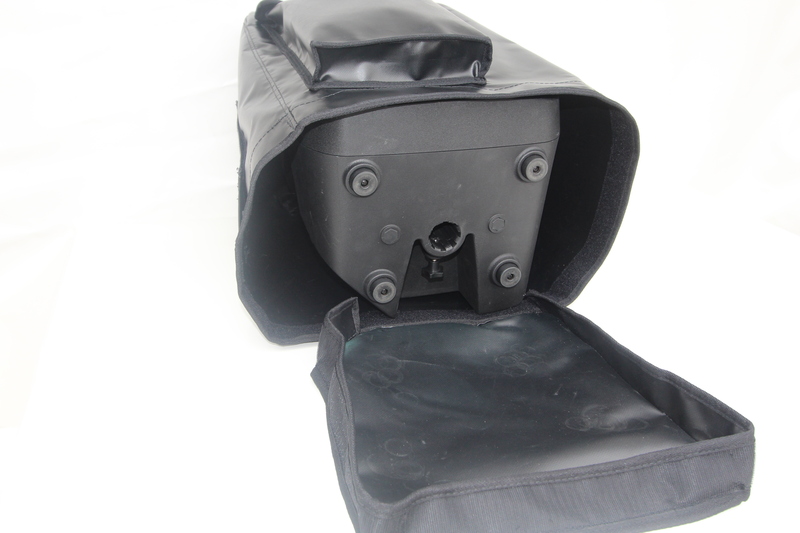 This particular cover made for the client was made out of Black PVC-ST which is waterproof, very strong, temperature-resistant, dust-resistant, and durable and comes with 5 years guarantee due to it being extremely long lasting. The PVC can also come in different colours, so if you’re looking for a speaker cover similar to this we can make it in blue, red, purple, green, brown, etc. We can also add logo’s or patterns to the textile if desired. As well as this cover made out of PVC-ST we also manufactured a cover made out of Polyester with soft padded scrim for the speaker. As you can see this cover is much more padded and holds its shape a lot better making it look a bit more aesthetically pleasing. 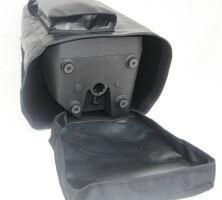 Because of its padding it protects the speaker a lot more from knocks and bumps; however it is not as waterproof as the PVC-ST which is why a thin waterproof slip-on cover is used to go over this cover. 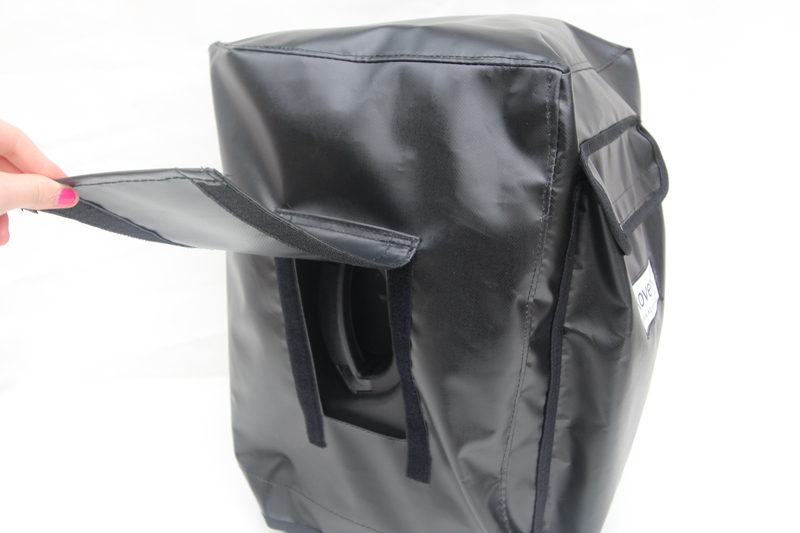 This outer cover slips on over and has a bungee cord in the bottom which pulls it closed around the Polyester cover, this outer cover makes it completely waterproof. 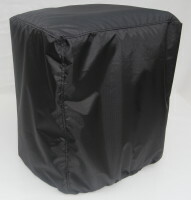 The Polyester padded scrim cover therefore protects the speaker better as it prevents the system from getting knocked about, hence lengthening its life-span, and stopping dust and water from getting into the speaker. When the speaker is being left outside or in storage the waterproof slip-on cover can be put on to maximise protection. 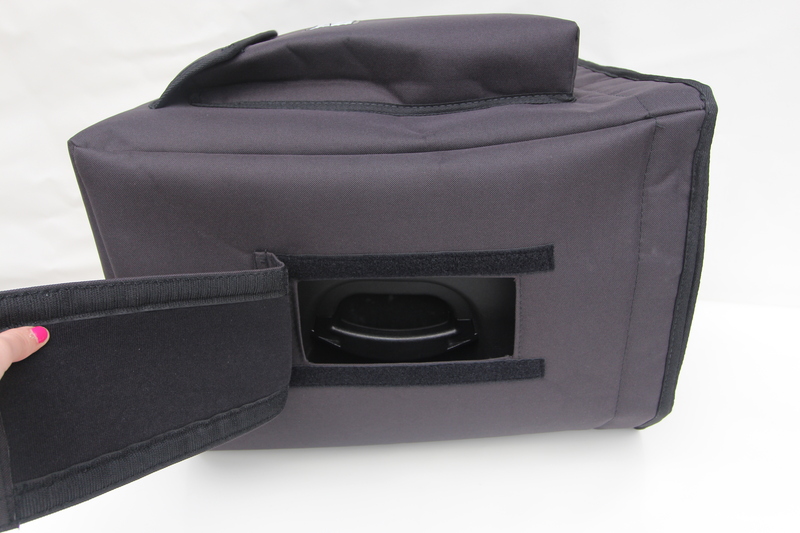 It has a similar design to the PVC-St cover, however has an extra pocket for the outer slip-on cover to fold up and be stored in. Since it has a lot of padding it also means the microphone and cables are more protected whilst stored in the pocket. Similarly to the PVC-ST the cover is easy to handle and use, it has a flap to enable the user to carry the speaker and has the same way of opening. Although the Polyester is the favourite here, the material isn’t as waterproof as the PVC and would get bleached by the Sun, which is why the outer slip-on cover is needed. 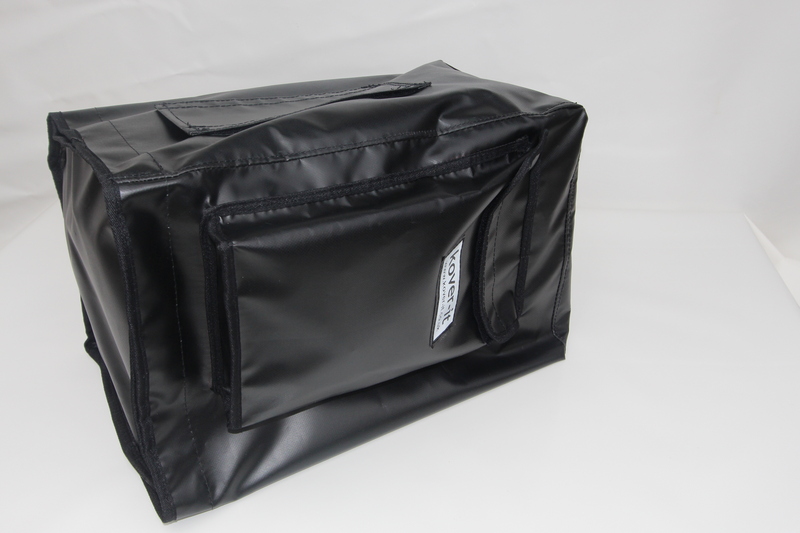 It is also more expensive than the PVC and may not last as long but because of the material it offers better protection from knocks and bumps which is crucial for being portable and we think looks better than the PVC as it holds shape better and fits very snug. Both of these covers are superior to any other protective cover on the market, and we would only recommend the most suitable cover for your needs. If the speaker is used outside a lot we would recommend the PVC, if used to store the speaker whilst travelling we would recommend the Polyester. The Alto IPA Music system Speaker is worth over £200, at that price you would not want to replace one! 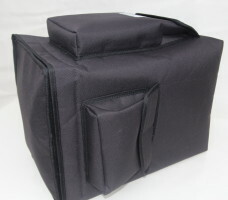 Having one of these covers protecting the speaker will increase the life-span of it alot. Most of the time it is the dust,water and knocks which age a speaker system, and storing the speaker in a cardboard box is not going to protect it from this. 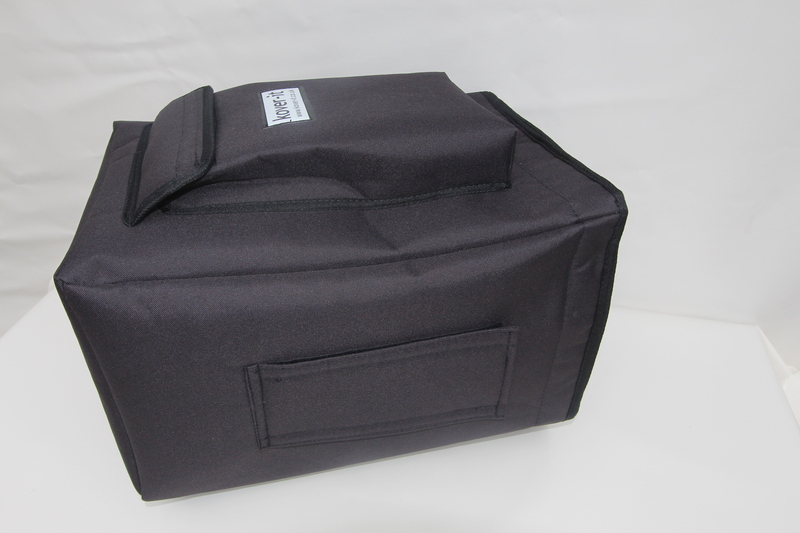 Having a quality protective cover also allows you to take the speaker outside which is useful for parties, events and gigs. 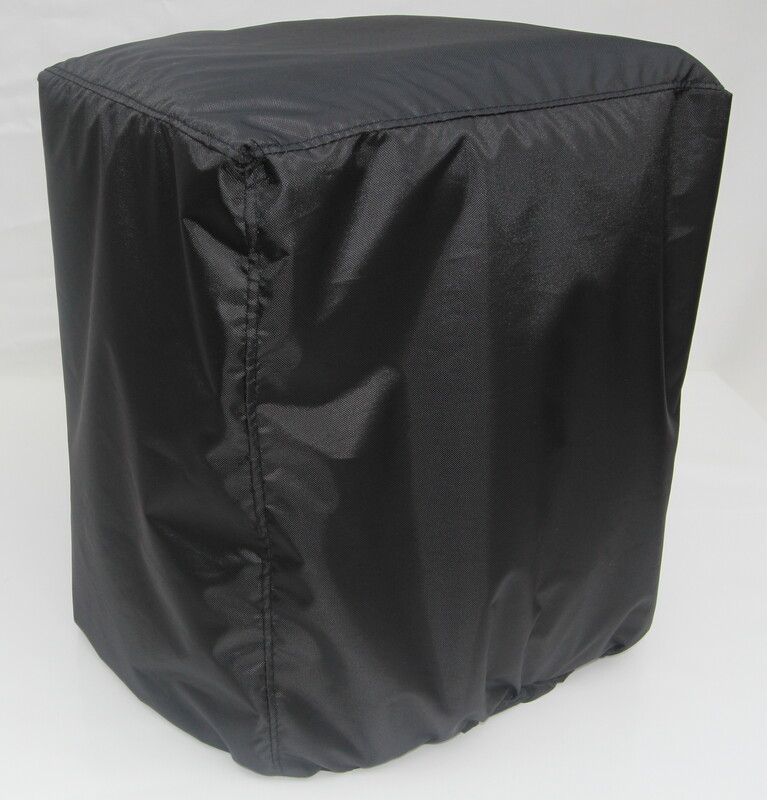 We can also manufacture outdoor covers for other types of speakers, for example for concerts, festivals or fairs it would bery very handy to have just a slip on cover for when they’re not in use. Especially as the Summer approaches and there will be more outdoor events,protecting expensive equiptment such as amplifiers and speaker systems will not just be preventing dust, water and knocks from damaging them but will be making them last alot longer. 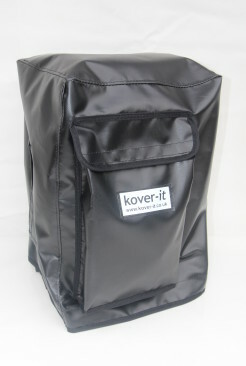 Kover-it specialises in delivering only the best quality covers tailored to your needs, and we have very skilled machinists each with 20 years plus of experience. We will only ever reccomend the best material to manufacture out of suitable for what you are covering. 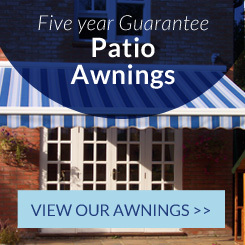 Our covers do not fade, and we offer the 5 year guarantee on the PVC-ST covers as we know it is by far the best material for outdoor protection from the Sun, wind, rain , frost and extreme temperatures. 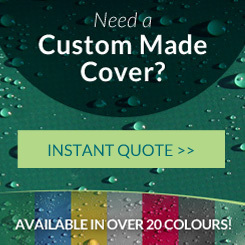 Keep up to date with news and information about our latest custom made covers, products and customer installations.